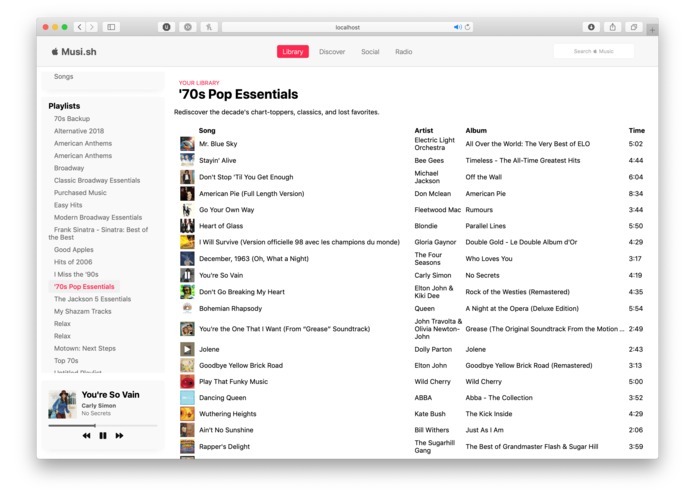 An open source web-based Apple Music web client. Plays music. Without hassle. In a web browser. With your Apple ID. Revolutionary. 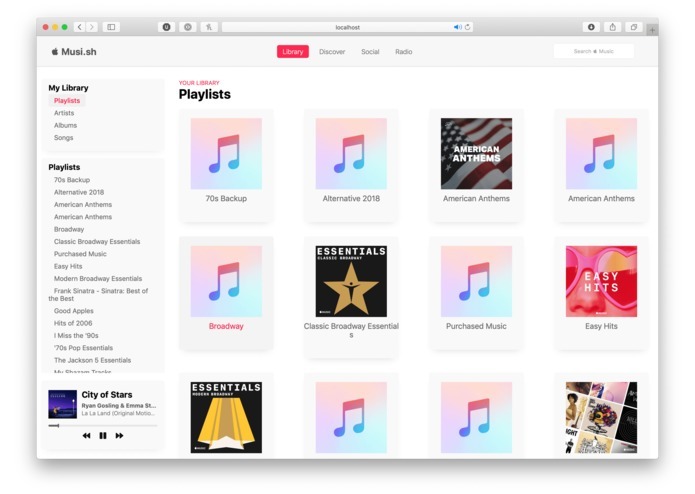 All data (including user library, discovery content, album artwork, and the music itself) is retrieved through public APIs provided by Apple. In around about eight hours. Built with React; also a bit of SASS, HTML, JS, and a couple boxes of chicken. Time constraints were the biggest hindrance, closely followed by the lack of publicly available documentation (from Apple) and assets (icons!). Having access to a library of assets (mostly just icons, fonts, etc) could have helped polish our interface and stopped us wasting close to an hour on attempting to source them externally. We're proud of our product, we enjoy using our webapp and that's a great accomplishment in itself. We also managed to place in first in the San Francisco location (hosted at Make School) which was pretty rad...ish. 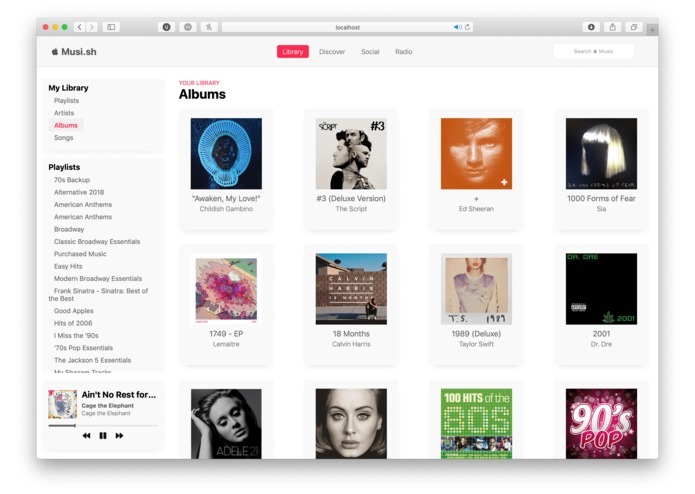 We've all learnt a fair share of the Apple Music API, improved our React skills as well as overall web development. 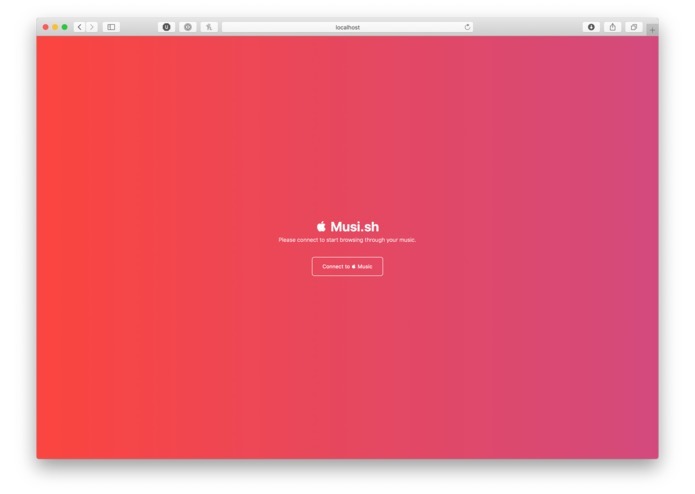 We've dealt with handling Authentication using JSON Web Tokens (JWT) (specifically for Apple Music), and we have also improved upon our general time management for tasks needing to be completed at a very quick pace and our teamwork (delegating tasks between us all while utilising each persons' strengths to their best). (And hopefully not a lawsuit [grimacing face emoji]). Disclaimer: The entire team and product remain entirely unaffiliated with Apple... for now. NOTE: for best experience please demo this on Safari running on macOS. We have issues rendering icons, fonts, and occasionally with DRM protection on Chrome. We are working to resolve these ASAP. 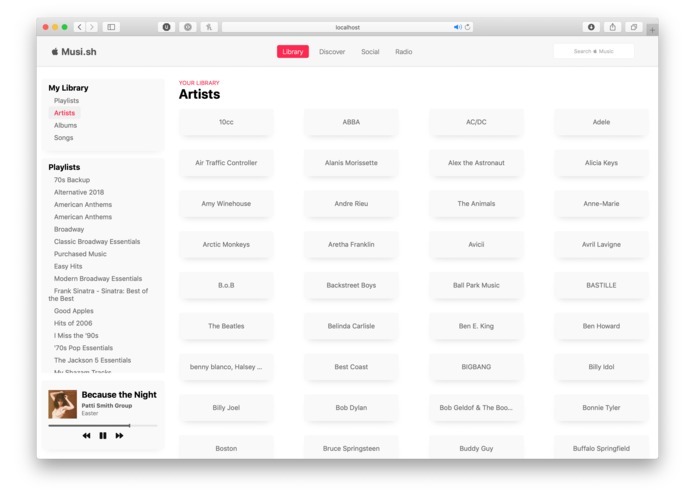 Worked on react with the rest of the team, primarily developing the song listing + playing. We can provide a live demo if needed, please contact us directly. We will also spin up a container for production in the very near future.